Eid is nearly here and that means Muslims are busy with preparations – shopping for new clothes, preparing presents for the children, cleaning their homes and finalizing their Eid plans. In these last two days of Ramadan, no part of the house is as busy as the kitchen, because it is now time to whip up Eid delicacies. Many of them are dishes that are too rich or creamy to have frequently, which makes them even more special when consumed during Eid. Here we review some of the signature Eid dishes from across the world. 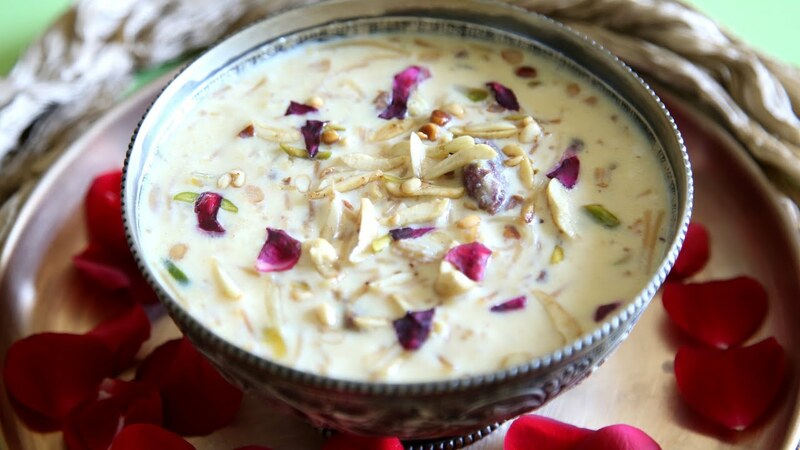 Nothing says Eid more like a bowl of warm sheer korma – a delicious mix of saviyaan (a very fine long pasta) slow cooked with milk, nuts, dates, and lots of sugar. Based on the lavish cuisine of the Mughal Empire, South Asian homes often feature sheer korma for breakfast, which is usually consumed with parathay (fried bread), kebabs, and aloo ki sabzi (potato curry). Every home has its own slight variation on the recipe, which makes it even more fun to go from house to house on Eid and have multiple bowls of sheer korma during the celebrations. Pulao is a dish shared across many cultures, made by preparing a seasoned broth of meat and spices and then adding rice, and is an Eid favorite. The spiciest pulao is featured in South Asia, where mutton is cooked with cardamom, fennel seeds, cloves, and lots of masala, and the final product sprinkled with orange food color. Pulao is a close cousin to the biryani, considered by many people as the king of foods, and another favorite dish during Eid. Unlike pulao, biryani is made without fennel seeds and features meat cooked separately as a curry and then mixed with half-cooked rice and slowly steamed to completion. Both pulao and biryani are served with cucumber yogurt, to cool the mouth. Homes in the Arabian Gulf feature a savory dish called the harees which is made from cracked wheat, salt and chicken or lamb, slow cooked and beaten to a porridge-like consistency. Harees is a Bedouin dish with a long history, with some claiming it has existed for thousands of years. It is usually served with drizzles of clarified butter and green and is synonymous with celebration in the Gulf. 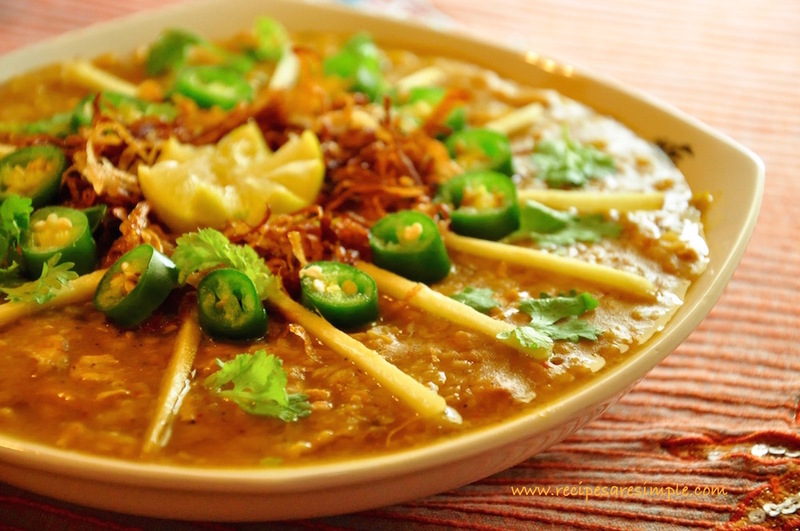 A close cousin to the Arabian harees, Haleem is a slow-cooked stew prepared in South Asian homes for special occasions. It features a mouth watering mix of cracked wheat, lentils, lamb, mutton or beef, and a generous portion of masala. It is usually cooked at low heat over 8 to 10 hours in large vats, and eaten hot or cold. The smell of Haleem in a home signals celebration. Mamoul are traditional home-made shortbread cookies made with semolina flour and filled with dates, nuts, or other fillings and shaped into balls or domes. They are a celebration food in the countries of the Levant such as Syria, Lebanon, Palestine and Jordan. They have a distinct spicy sweet scent with strong hints of rosewater. Eid breakfast in Moroccon homes often features meloui, crisp sweet pancakes made with semolina flour, butter and sugar. These also come in a savory version which features meloui stuffed with spicy beef or chicken. Egyptians celebrate Eid with a dish that dates back tot he tie of the Pharoahs – kahk cookies are stuffed with honey, clarified butter, walnuts and sesame seeds and dusted with powdered sugar. The creation of these airy cookies is often a family affair, when families gather to stuff and decorate cookies for the Eid table and place them in decorated boxes to gift to friends and relatives on Eid day. Indonesia, which has the world’s largest Muslim population, has a special name for Eid-al-Fitr: Lebaran. Indonesians and Malaysians both celebrate Eid with a rice dumpling dish called ketupat. It is created by packing rice that has been half-cooked in coconut milk into a woven palm leaf pouch. When ready the skin is removed and the rice cake served with soup or meat dishes. Baklava is a beloved sweet throughout many parts of the Muslim world, with roots in the Ottoman empire. It is made with fine layers of dough combined with nuts and covered in honey and rosewater, and comes in multiple shapes. 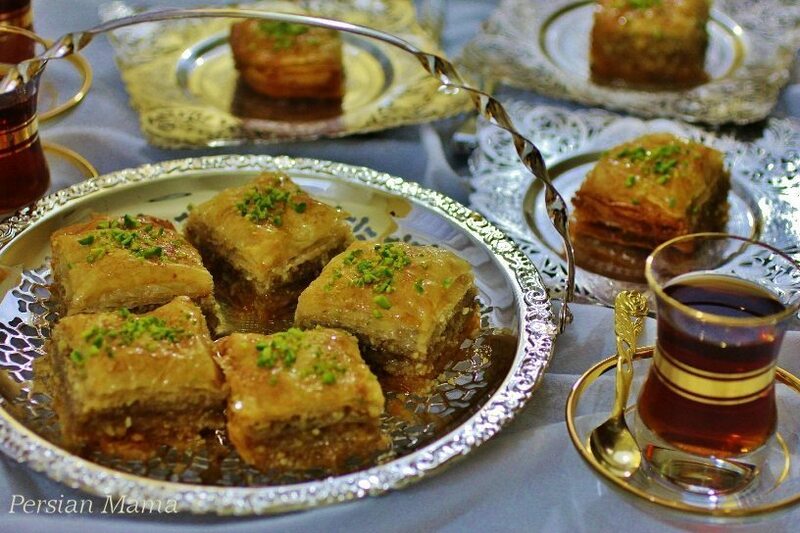 Some believe that the modern-day version of baklava was first prepared in the imperial kitchens of Topkapi Palace in Istanbul. Eid al-Fitr is referred to as the sugar festival in Turkey (Seker Bayram) and that means that it is the time when a lot of baklava is eaten and gifted during the celebrations. Eid celebrations in the Balkans feature divine stewed apples – Tufahije. They are made by stewing apples in sugar water and then stuffing them with crushed walnuts and whipped cream, topped with cinnamon and served in the poaching liquid. North African homes often feature tagines, which are stews cooked in dome-shaped earthenware dishes. Each region ranging from Morocco to Algeria to Tunisia makes tagine differently, but they usually feature meat and vegetables which are cooked over low heat for a long time. Wherever in the world you are celebrating and whatever you eat, we at AltMuslimah wish you Eid Mubarak!